Comment: Seller needs to know what to be fixed, inspection. Comment: This is our home that we have lived in for about 40 years. Part of the house is older than the rest. We had additions built in 1986 and 1996. It's a rambler with one unfinished basement room that where the water heater and pressure tank are and one finished basement room that can serve as a bedroom. We have a 30'x40' shop and a 24' x 30' detached garage. We have a well and septic system that is pumped every three years. Comment: Getting ready to purchase a home from a relative. Will need home inspected for loan and owner insurance purposes. Comment: Inspect home for sale. 730 Lower County Line Rd. Kennewick Home Inspectors are rated 4.90 out of 5 based on 116 reviews of 12 pros. 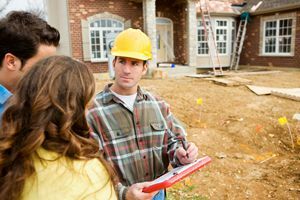 Not Looking for Home Inspection Contractors in Kennewick, WA?